From the Camberwell collection I chose the Mamod steam tractor, as it felt familiar to me, reminding me of the steam fairs I used to go to when I was a child with my family. 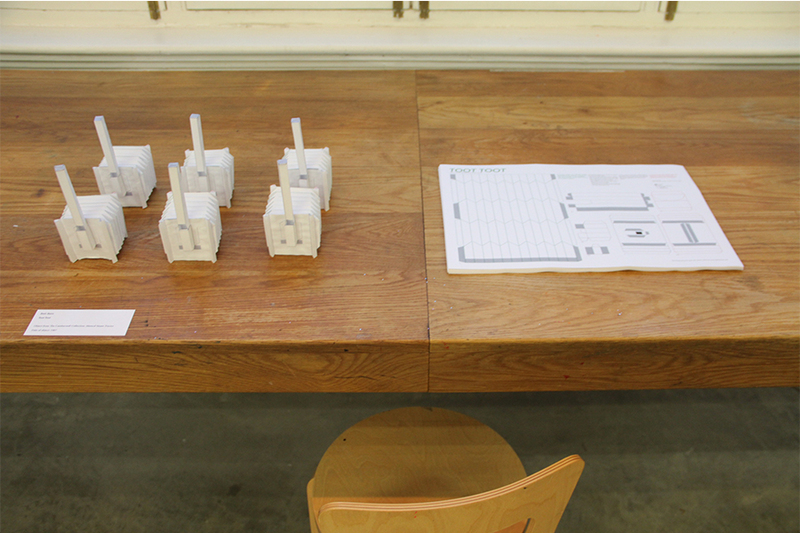 This particular model is a live steam model, therefore its audience is able to play and interact with the model to create steam, sound the whistle and make it move. 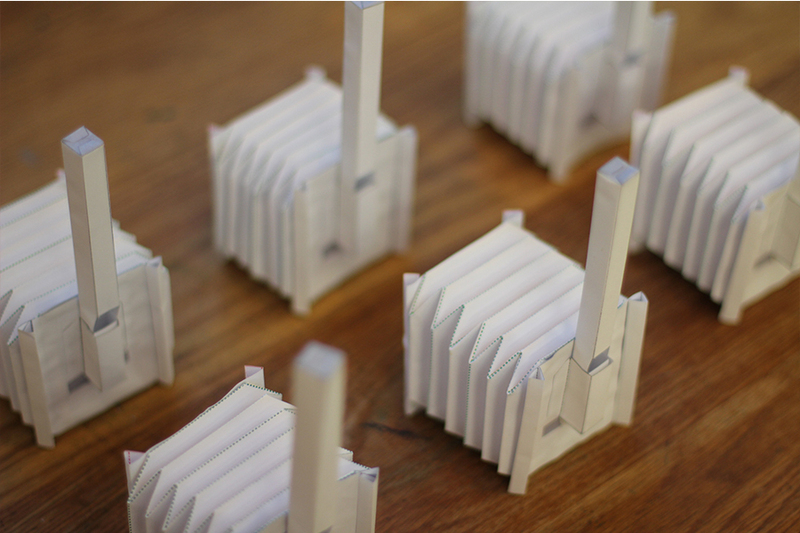 The Camberwell collection model has been contained within a Perspex box, therefore making it unable to be handles as it is intended to be. I wanted viewers to be able to feel as though it was still an active object. Taking it out of the Perspex box. I wanted to use different senses to try and create new ways for the audience to feel as though the tractor is active. Trying to create the illusion of a running motor by using a moving steam video, which, I then over laid on a silhouette of the tractor. 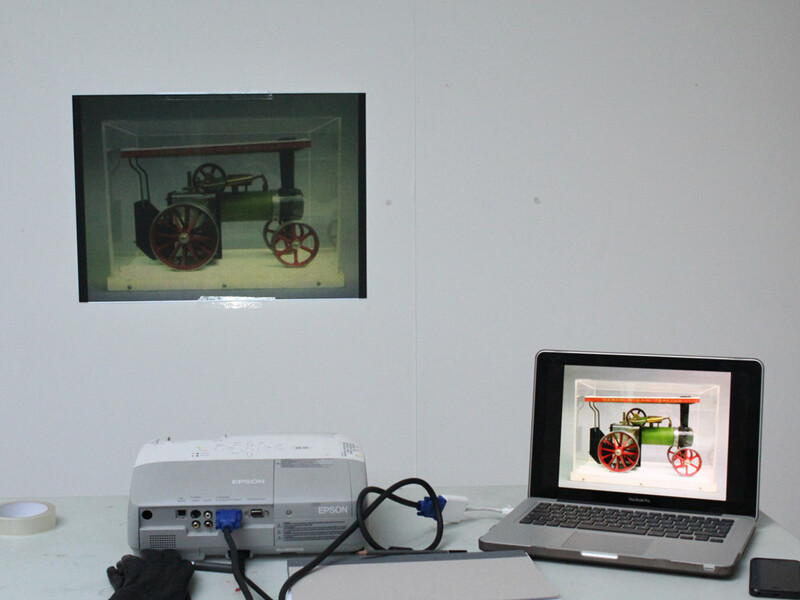 I also created a film using the still image of the tractor; which I over laid on top of a film I took while on a train. Allowing the tractor to look as though it is moving. 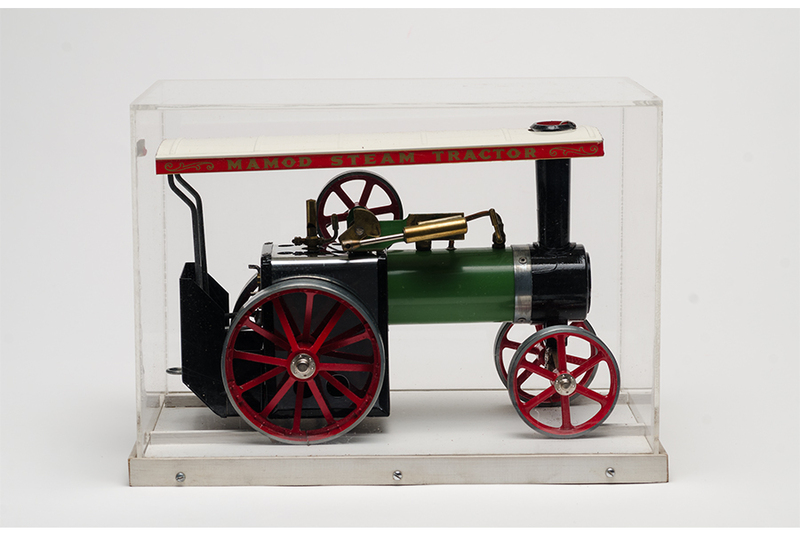 I feel the whistle best helped capture my audience, it becomes a playful toy but also something that reminds and engages viewers, just as the model steam tractor would have.